How to define a variable as part of my JMeter Test Plan? You can follow this tutorial to define a variable as part of your Test Plan. 1. 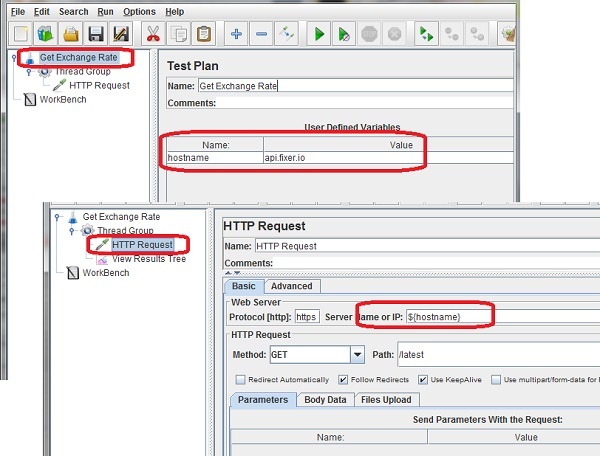 Run JMeter and create a test plan called Get-Exchange-Rate.jmx. 2. Click to open the test plan properties panel. 5. Save the test plan and run it. JMeter will make HTTP request of GET https://api.fixer.io/lastest.